Tzu Chi continues to recruit more Haitian volunteers and doctors to join Tzu Chi’s long-term relief operations. Local volunteer trainings were held between March 26-April 2. Approximately 740 Haitian volunteers attending the trainings. Tzu Chi attended UN and InterAction Haiti reconstruction meeting in the US this past week. Tzu Chi will focus its long-term reconstruction of hospitals and schools in the city of Leogane and continues to assess the possibility of reconstruction of a hospital in Carrefour. 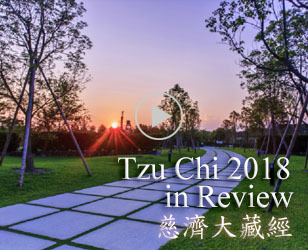 Besides the reconstruction of buildings, Tzu Chi will emphasize on guiding and encouraging the people in Haiti to stand on their own feet and to help one another, forming a cycle of love. Local Tzu Chi volunteers will continue to conduct home visits and community service work in Haiti in the long-run. Most of the schools remain closed and millions of children need proper education. Tzu Chi local volunteer, Jean Denis Petit Pha, a former high school English teacher, established the first temporary school for over 120 children in the Saint Alexandra area on Mach 22. With the help from a group of local volunteers and teachers, the school provides half-day class and three nutritious meals to the children. Tzu Chi Foundation will continue to provide the much-needed food and school supplies. As part of Tzu Chi USA’s ongoing project (which began prior to the earthquake), “Send Love to Haiti,” 358 boxes of school supplies from the US will be delivered to the children in Haiti in April. Tzu Chi has distributed tents and tarps to the quake survivors to help them through the raining season. Tzu Chi will assist with the rebuilding of temporary schools and clinics for the Sisters of St. Anne Convent. 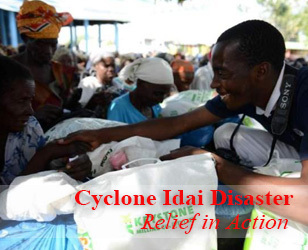 Tzu Chi’s immediate relief operation in Haiti has ended on April 3. On April 3, a prayer event was held at the National Football Stadium, with thousands of survivors, religious leaders and community members attending. Tzu Chi’s immediate relief operation focused on the following areas: 1) Relief goods distribution; 2) Medical and emotional assistance; 3) Relief work program (food for work program). From mid-March to early April, Tzu Chi’s relief team was stationed at the National Football Stadium. By April 3, 29 cargo containers of relief goods from Tzu Chi’s offices in Asia and the Americas have been distributed to the quake survivors. Another 9 cargo containers of goods are en route to Haiti, in preparation for the mid-term relief operation. Along with the local Tzu Chi volunteers in Haiti, teams of Tzu Chi volunteers and medical personnel from the Americas arrived in Haiti on a weekly basis, providing continuous help in Haiti (approximately 30 volunteers from the Americas per week). Tzu Chi relief team provided medical care and goods directly to the hands of the survivors with respect, a bow and a smile. UN peacekeepers and military police provided security protection during Tzu Chi’s distributions. Besides shelter, food and work opportunities, Tzu Chi brings the survivors hope, encouraging the survivors to create a cycle of love. Tzu Chi also emphasizes on the spirit of Great Love and compassion. Tzu Chi volunteers bring this spirit to the survivors in Haiti and let them know that love has no border; we are one big family helping one another, regardless of skin color, religion and nationality. After the earthquake struck Haiti on January 12, 2010, Tzu Chi immediately established a Haiti relief coordination center at the Tzu Chi USA headquarters (San Dimas, CA), and subsequently, a relief coordination center in Tzu Chi’s Dominican Republic office as well as in Haiti. 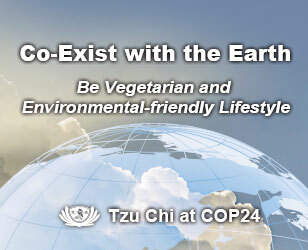 In addition, Tzu Chi initiated a global fundraising campaign, with 36 countries participating in the campaign. The first shipment of goods was immediately prepared by TIHAA (Tzu Chi International Humanitarian Aid Association). *Notes on special goods: Instant rice is ready to be served after 40-50 minutes in room temperature water or 20 minutes in hot water. Instant corn powder can be served after pouring in room temperature water. Each eco-friendly fleece blanket is made from 70 recycled PET bottles. For eight consecutive weeks, Tzu Chi International Medical Association (TIMA) from the USA (13 states), Canada, Argentina, Dominican Republic, St. Martin provided medical care to the quake survivors. As of April 3, Tzu Chi has provided medical services, such as general medicine, oriental medicine, dental services and chiropractic care, to 15,264 patients. Tzu Chi’s volunteer doctors discovered that most patients suffer from malnutrition (especially children), skin conditions (due to poor water sanitation), respiratory conditions, communicable diseases and dehydration. A man came into Tzu Chi’s medical clinic at the National Football Stadium; he was on a cane and had been unable to walk for many years. The man was in a lot of pain all the time and was shaking when he came into the clinic. After acupuncture treatment by a TIMA doctor for 4 days, the man not only was able to walk, he was even running outside the clinic. TIMA doctors and the man were both crying as they were very touched by the scene.